As usually I was driving home in my beat-up Fiat, listening to the local radio and being bored and too hot overal (32° Celsius outside). But then my eye spotted something new. Something I have never seen live. 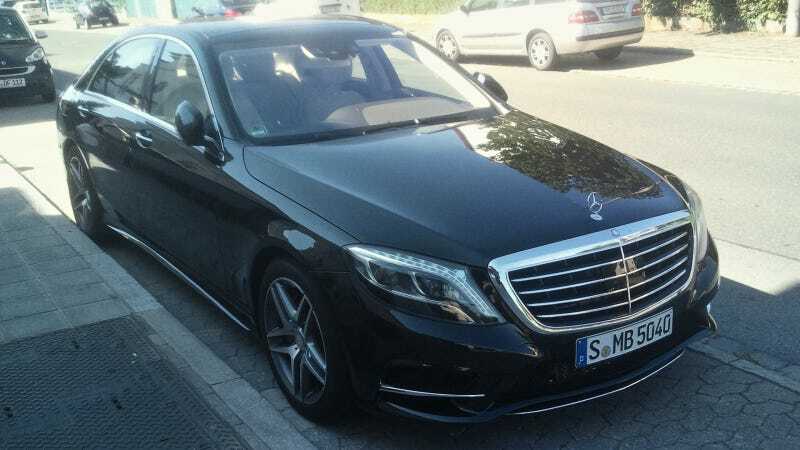 It was a new S-class, parked right in front of some new, expensive appartments. Luckily a parking space across the road was free, so I parked the car and took a look at the Merc. It is a beautiful car I must say. Much more elegant than the 7-series or A8 while looking very modern. I am not sure if these are the best rims for the car, I might prefer some less sporty ones. And all the chrome decoration in the front bumper is something I probably would have body color matched. But the rest is perfect. And the interieur is a dream. I only could look at it through the windows, but it appears to be a very nice balance of modern instruments and classic styling. So much better than BMWs montone and always same interieur.